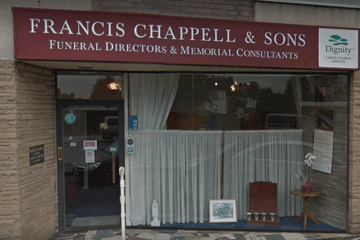 Compare funeral directors in West Wickham and read verified reviews on the UK’s online funeral resource. 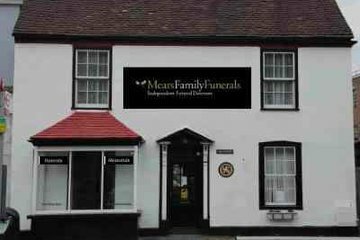 Use Funeral Zone Listings to find local funeral directors in West Wickham that meet your specific needs. You can organise the search results by ‘best rated’, 'nearest' or ‘most reviewed’. There is also a handy Google Maps feature so you can see exactly where each funeral home is in relation to each other. Efficient, kind and sympathetic. On the day of the funeral everything went according to plan and I was spared any worry. Help and advice was given during the planning stages and nothing was too much trouble. The staff who attended the funeral were very professional and dealt well with the arrangements. The only glitch was that it had been intended that there were three pieces of music but only two were shown on the programme, (I don't know why this was we were assured when we queried this that all three pieces would be played) consequently only two of the pieces were played as the minister taking the service was using the order of service to determine what happened when. I suggest that the order of service in future shows everything that is programmed to happen. From the initial contact with Geoff cook at the West Wickham branch right up until the day of my mums funeral, Geoff was very reassuring and professional at a very difficult time. He was in contact with me during the whole process and adhered to all my wishes. I could not have been more happy with the service I received and would recommend them to anyone. I would like to thank Geoff cook for an excellent funeral service.He was very helpful ,caring and sympathetic .He made sure that the day went smoothly..Thanks to his team my father has a great send off.Thank you all.